Creating your perfect modern kitchen is an exciting part of your new home design. The kitchen is often the heart of a home, so it is important that you create a space that you love and feel comfortable in. Kitchen trends of 2018 are all about functionality – some trends fade, but creating a smart, functional modern kitchen design will last a lifetime. The colour palette in your kitchen can dramatically change the feel of the space. This is a personal preferences – but kitchens always benefit from pops of colour. This could include bright hues for wall colours and appliances, contrasted with dark bench tops or cabinets. Alternatively, warmer tones filled with browns and neutrals work for creating a cosier cooking space for you and your family. 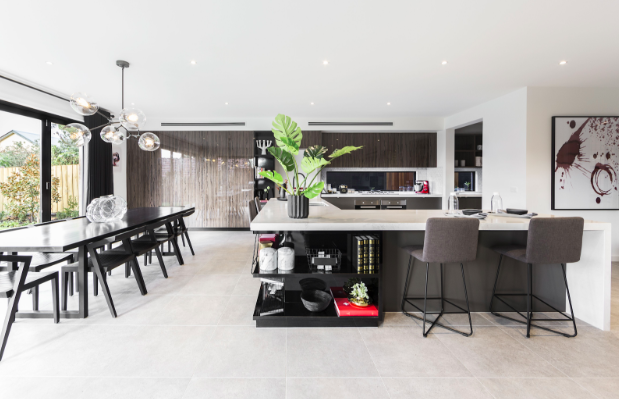 Browse display homes and colour options to decide the vibe you want from your kitchen space. 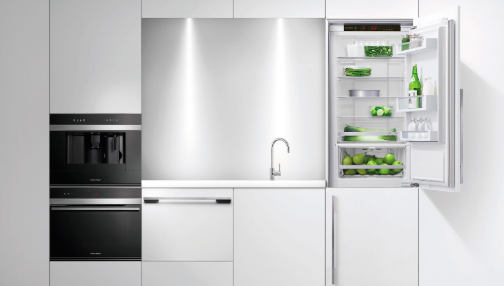 Where you place your appliances can make a difference in appearance and organisation of your kitchen. A modern kitchen will appear clean and minimal – try and ensure that the majority of your bench space is clear. This will give you more space, so if you can, place small appliances away in cupboard space when they are not being used. It is smart to factor this into storage when designing cabinets and storage. Another way to create a sleek looking modern kitchen design is considering hidden appliances – this includes having the dishwasher and fridge out of sight by disguising it in a cabinet space. They are covered by the cabinet design and maintain a continuous look for your kitchen area. A large light source in the kitchen is a huge advantage when working and cooking. It is a smart idea during the design process to consider the position of appliances and areas where you will be working, in relation to natural light source. If you are able to incorporate large windows into the areas you will be spending most of your time then your kitchen will feel more open, and you will thank yourself for it and getting your daily tasks done. 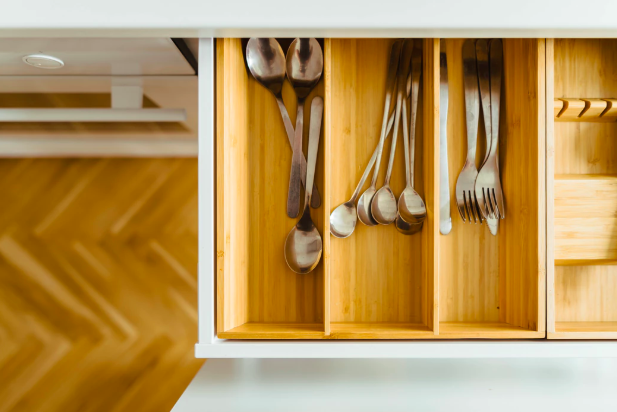 There are multiple ways for you to store cutlery and appliances in your kitchen space. A modern kitchen is efficient in its storage and will make life as easy as possible for you. Storage options may include wall shelves that double as aesthetic displays, large draws, as well as cupboards with specific storage areas. Another smart option is space located underneath your island benchtop – an island bench will increase your working space as well as potential to add deep draws and cabinets. If you are set on creating a modern kitchen space – avoid confining the kitchen to one room. Open plan living is an attractive feature in any household – remove walls and allow the kitchen opens up into a lounge or dining area. This creates an ideal space for events and entertaining guests, as well as a large area for your family to be together. It can be ideal to know what appliances you are purchasing before you design your kitchen. This will make designing your space a whole lot easier if you know the size of your appliances. For example, if you are aware of the size of your fridge then you can design your cabinets and cupboard space accordingly to avoid the common issue of your fridge extending beyond its neighbouring cabinets. Be cautious when designing overhead cabinet space as well – if the cabinet is too deep then you might find yourself having trouble reaching for things at the back. Speak to our expert consultants at iBuildNew on 1800 184 284 or book a call online to begin your building journey. We can assist in matching you to a builder that meets your needs and help you take the first step in creating your perfect kitchen space.